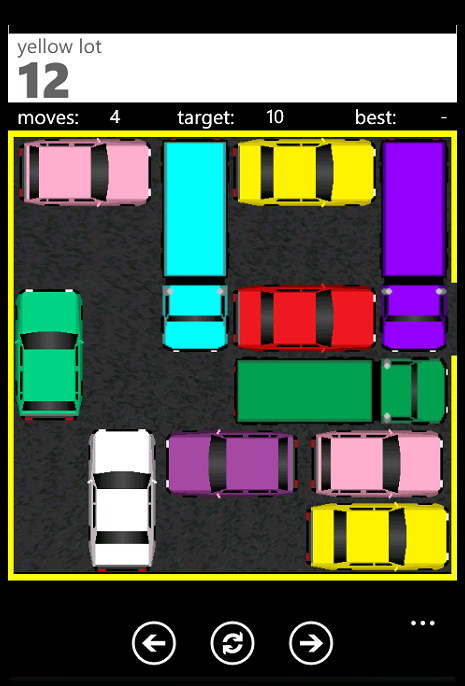 Yes, I decided to make a rush hour game for windows phone 7. 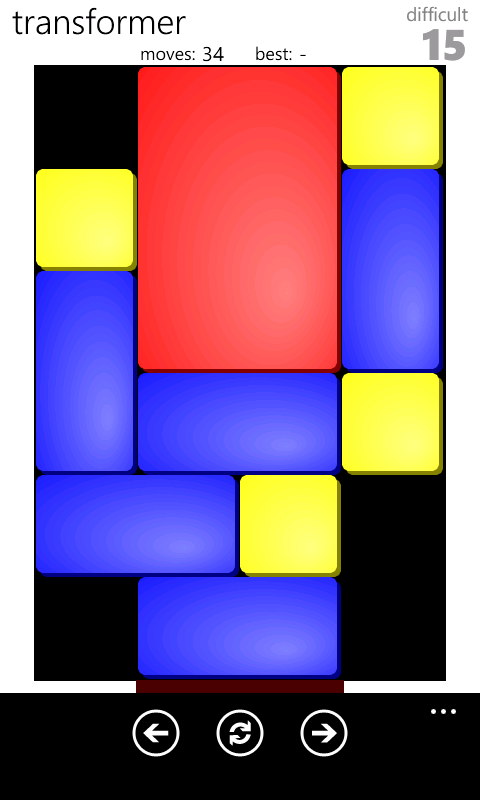 It’s really a simplification of my last klotski game, I just had to lock each block to be either horizontal or vertical and allow for the opening on the right side of the puzzle. I also split my solution into multiple phone projects sharing the same model which meant cleaning up a lot of the code. A lot of the rest of the work was drawing the nice car graphics (all original drawings by me). I released this game for free with ads, I expect this might be the best option for windows phone games right now. If this does well I might re-release klotski as a free application too. The puzzles were actually much easier to create for this game, I modified the open source program gtlevel so it would output levels in the format I wanted. – For traffic I added the minimum moves for each level as a target for those with OCD. I did allow some room for error (15%) so one bad move won’t ruin your game. An almost perfect solve will earn a star for the level. – Moving the same piece twice in a row doesn’t cost an additional move. If you push other pieces with the selected piece that will still cost moves. – I improved the dialog when you finish a level to allow you to restart (for those trying to improve their record). Please review my app and let me know what you think! If this does well enough I will release more levels.